Yes, I’m guilty as charge. I have been away from sharing with you guys far too long. The reasons for my absence are many, and mostly justified. And I can’t wait to share with you more about what I’ve been up to these past three months; stuff that has had a tremendous impact on my ability to keep up with writing here at Catching Raindrops. But I’ll do that on a later entry. Today, what brought me back is a desire to share with you some additional stories about more women catching raindrops in their water buckets. Below is a brief description of one of them — my friend Christi Schroader. For more information about her story, her beautiful artwork, and her new ministry, go to her website and check out her incredible talent. And if you have five minutes, stop long enough to watch some of the videos embedded. From the time she was a girl of 18, Christi Getzen Schroader’s calling has been clear: to speak about God with words and images. Her new site, Light Beneath, beautifully houses the art, writing, and videos that so powerfully tell of her experience of a God who is near and can be intimately known. Captured by the joy of experiencing Him, it’s been her delight to bring His voice to paper with her new book, Quiet Space: An Experience of God’s Presence. You can download the eBook for free when you sign up for the email list on her website, Light Beneath. Every facet of Light Beneath serves to inform and inspire men and women to pursue an experience of the nearness of God to a degree that they’ve never before known. Careful in her study of the Scriptures, poetic and imagery rich in her explanations, Christi teaches like an artist- for so she is. 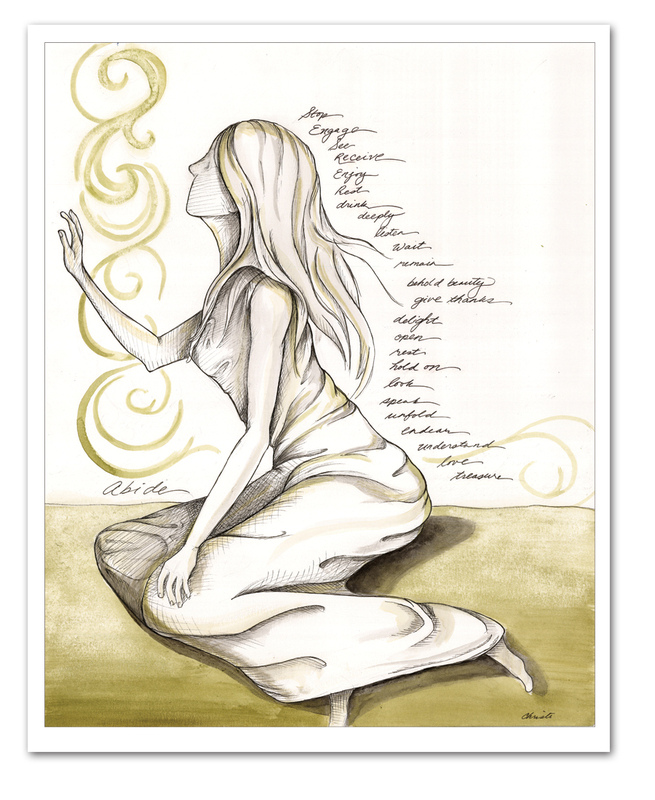 A painter and award-winning designer, Christi’s images set a viewer’s mind to thoughts of God. Many of the works of art on her site have videos accompanying them that explain the meaning or story behind the image. 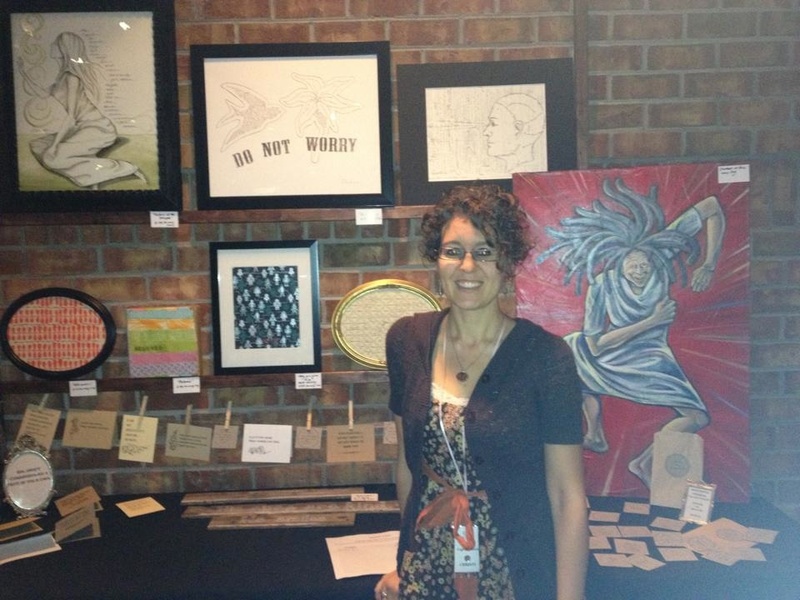 Prints of some of her work are available on her Etsy store, which you can locate through her site. For 5 days, beginning on March 1st, there will be a 20% off sale on everything in the store. Insider tip: when you sign up for emails, another 10% off coupon code will be sent to you 2 days later. A stop by Light Beneath is well worth your time. Read a blog post, peruse the gallery, check out the store. What you’ll find is guaranteed to be rich in both depth and simplicity, beautifully done, and sincere. This entry was posted in Christian Ministries, Creating Income and tagged Ankylosing Spondylitis, Christi Schroader, inspirational art, visual artists, women's speakers on March 1, 2014 by gloria green entertainment.